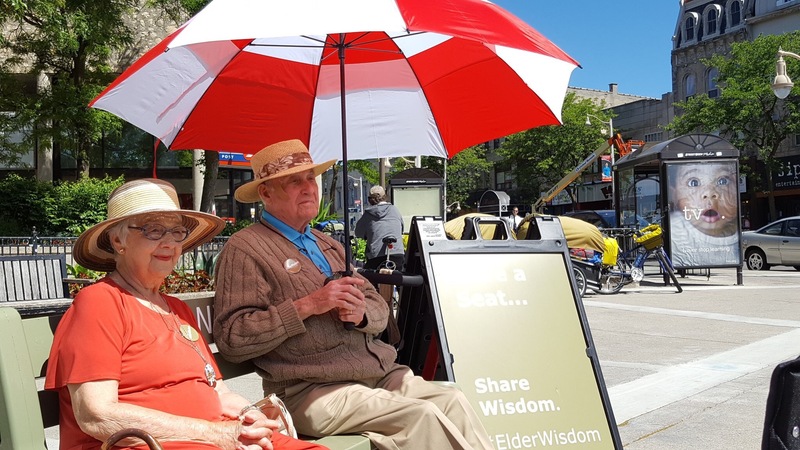 Today both Lola and former Guelph Mayor Norm Jary sat in St. George’s Square and shared wisdom with anyone willing to grab a seat for a quick chat! It went over great! Many people downtown were talking about it and I was fortunate enough to meet up with both of them to thank them for animating our downtown with something fun! What wonderful people! 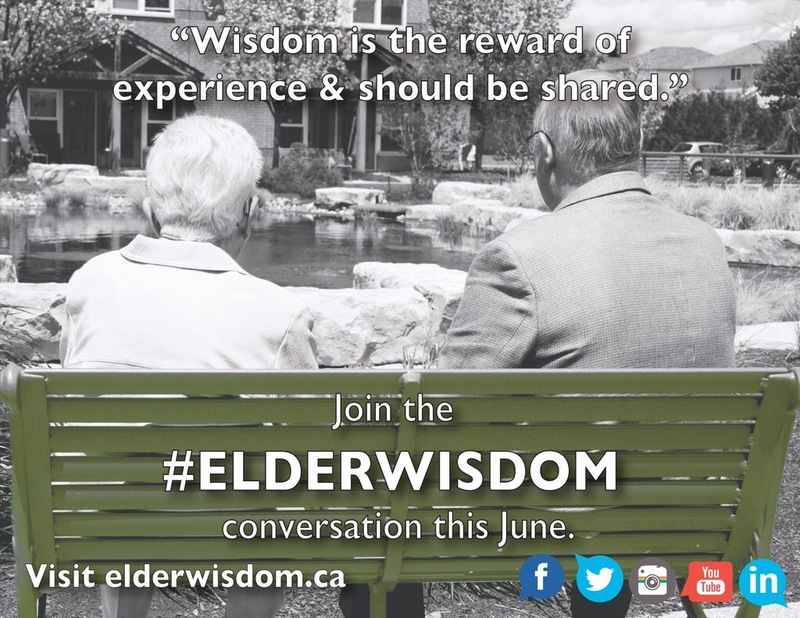 Thanks goes out to Schlegel Villages for doing this Elder Wisdom road trip around southern Ontario. Norm Jary shared some wisdom with me! 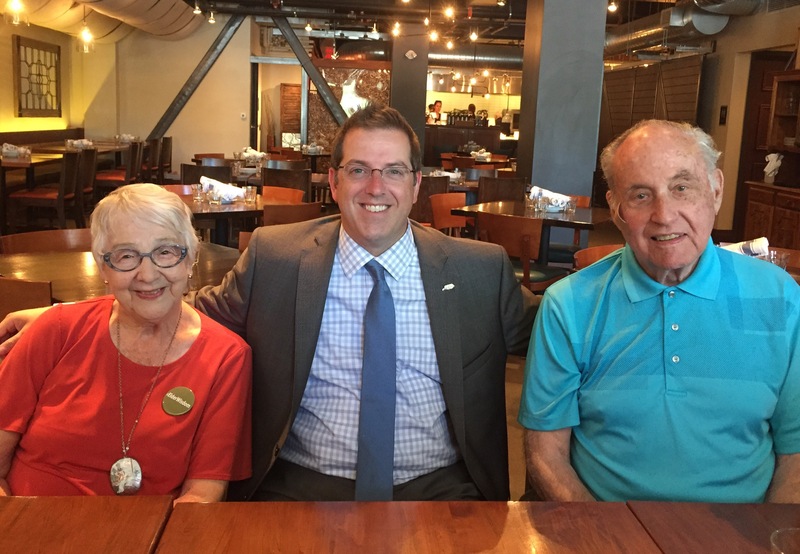 He said “don’t talk too long before calling a vote at city council meetings!” – Good wisdom sir. That is some good wisdom there. Council and staff probably would agree! Ha! ← GO Train Service Set To Expand In #Guelph!